GREAT BAY, Sint Maarten (DCOMM) – The Regatta Village for the 39th St. Maarten Heineken Regatta has officially opened and is currently welcoming sailors and visitors all over the world. The Grand Opening of the Regatta Village sets the precedent for the coming days filled with world class racing and high-energy parties. The center of most of the events are taking place at the Regatta Village by Port de Plasissance. The St. Maarten Tourism Bureau (STB) as a Premier Sponsor of the 39th Edition of the St. Maarten Heineken Regatta, will be present with its own booth, which serves as the information mecca for all incoming visitors and sailors, about the destination. The St. Maarten Tourism Bureau based on data collected from the previous year, 28% of St. Maarten Heineken Regatta attendees were first time visitors to the island. The introduction of the Regatta Village, during last year’s St. Maarten Heineken Regatta, presented the Tourism Bureau a new opportunity of having a centralized information booth dedicated to participants, and a good potential moment to convert first time visitors into repeat visitors. The St. Maarten Tourism Booth @ the Regatta Village will be open until March 3rd from 10:00 AM to 7:00 PM, with an information officer present to answer all destination questions and give visitors recommendations on places to dine, as well as things to do and see, while on island. The booth will also serve as a good hub for local bloggers and media, whom are present to cover the St. Maarten Heineken Regatta, to recharge and converse. PHOTO CUTLINE: STB Interim Director of Tourism May-Ling Chun. PORT ST. MAARTEN – Mein Schiff 6 made its inaugural call last Friday, April 6th and was welcomed by Acting Minister of Tourism and Economic Affairs Cornelius de Weever, Port St. Maarten Supervisory Board members and Management, along with representatives from the St. Maarten Chamber of Commerce & Industry and the St. Maarten Tourist Bureau, during the traditional welcome and plaque exchange ceremony. Captain Simon Boddger of Mein Schiff 6 during his welcome message said he was very happy to visit the island adding that he was amazed with the rebuilding effort that has been going on, and how good the island was looking since the September hurricanes. Captain Boddger said it was his first trip to the island and therefore it was a special visit for him. Mein Schiff 6 was initially scheduled to make its first call in November 2017, but due to the passing of Hurricane Irma, the cruise line was forced to change its itinerary. 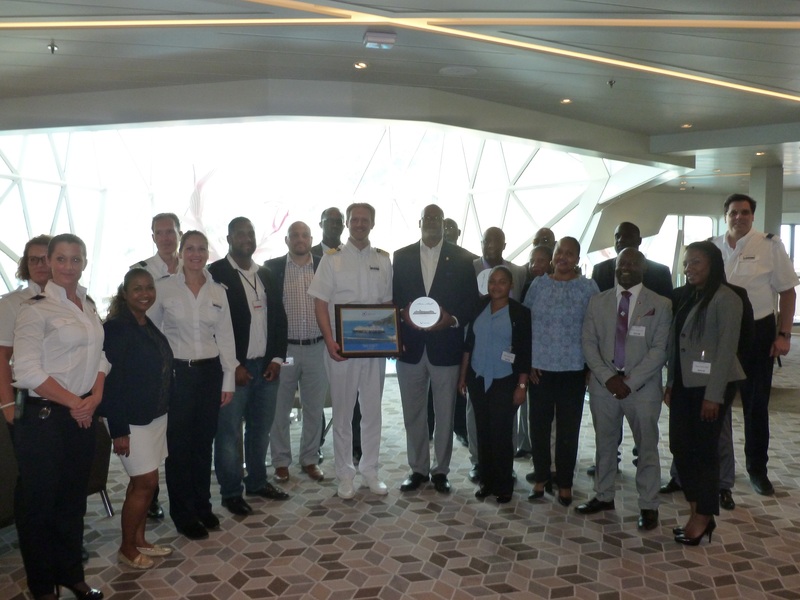 Acting Minister of Tourism and Economic Affairs Cornelius de Weever was delighted to welcome the Captain, crew and passengers to the ‘Friendly Island’ on Friday. 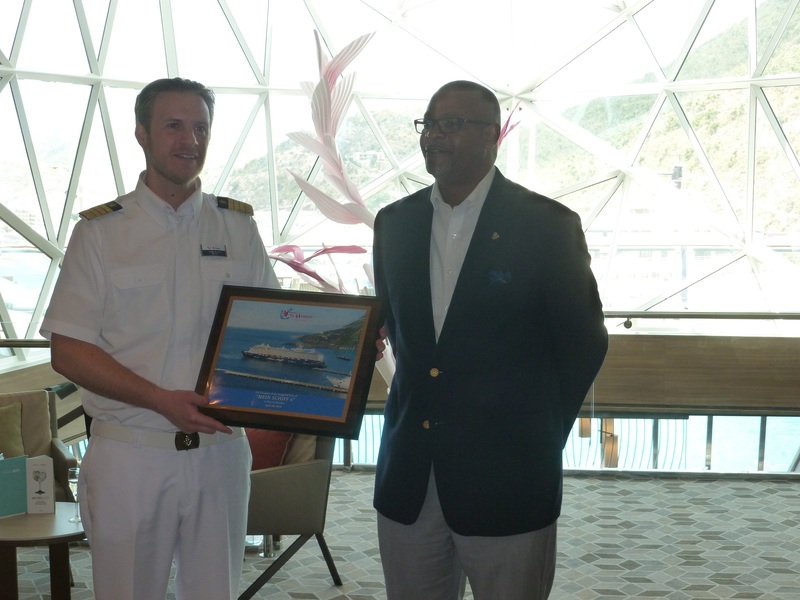 “TUI Cruises is one of our important cruise stakeholders. They are committed to the destination and we look forward to receiving many more of their vessels as they come online. “The TUI Group has been responding to growing demand and has ordered new ships as they have identified the cruise market as a roadmap for growth. TUI Group’s fleet currently comprises 15 cruise ships and the overall fleet will grow to 18 ships by 2023. “Another very important point is that they cater to the German and European travel market. This is also very important for our destination. According to a TUI global survey, sustainable tourism is most popular among German and French tourists; one in ten Europeans book eco-friendly holidays; around two-thirds of holidaymakers are prepared to make lifestyle trade-offs to benefit the environment. “As our country steps up rebuilding activities in the coming months and years, sustainable tourism should be part of building back better. Today’s traveller is looking out for much more and our country has to be at the forefront of trends and developments that are taking place in sustainable cruise tourism in order to maximize the benefits and cruise tourism experiences for passengers,” Minister Cornelius de Weever concluded. Mein Schiff 6 is now on its way to the Mediterranean Sea and will stop in Madeira, Portugal. Out of the Mediterranean, TUI Cruises will be offering a new itinerary for that area in the coming months. Captain Boddger said TUI Cruises was committed to the island and that the lines other ships will be calling at the destination in the coming months. Prior to making its port of call at St. Maarten, Mein Schiff 6 last port call was La Romana in the Dominican Republic which is one of its homeports in the Caribbean. During the 2017-2018 cruise season, the vessel has been visiting ports in the Caribbean and Central America. The new build ship made its maiden voyage a transatlantic cruise from Europe to the United States in September 2017. The vessel is the newest member of the fleet of TUI Cruises and is identical to her sister-ship the Mein Schiff 5. TUI Cruises, a German cruise line, is a joint venture of the German tourist firm, TUI AG and Royal Caribbean Cruises. The cruise line caters to the German market. The majority of guests on-board were from Germany. The percentage of German travellers on board TUI ships is around 80 per cent. The vessel was built by Meyer Turku Shipyard in Turku, Finland at an investment cost of US$620 million. Mein Schiff was delivered in May 2017 and christened in Port Hamburg, Germany in June 2017. Mein Schiff 6 has a gross tonnage of 99,800; length 968 feet; beam 115 feet; and can carry 2,534 – 2,700 passengers and 1,000 crew. The new build has a number of improvements in passenger amenities and energy efficiency. PHOTO CUTLINE: L to R: Captain Simon Boddger and Minister Cornelius de Weever during the plaque exchange ceremony. TOP PHOTO CUTLINE: Group photo. 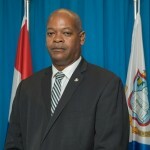 POND ISLAND – Acting Minister of Tourism, Economic Affairs, Transportation and Telecommunications (Ministry TEATT) Cornelius de Weever, says for those seeking employment opportunities during these challenging times, should visit the Divi Little Bay Beach Resort Job Fair on Saturday, April 7. A hosts of positions are open: Accounting Clerk, Guest Service/Front Desk Agents, Front Desk Supervisors, General maintenance, Servers, F&B Supervisors, Barista, Hostess, Housekeeping Coordinator, Room attendants, Laundry attendants and supervisors, and Houseman/Driver. The Job Fair will take place at Divi Little Bay Reception Area from 9.00am to 12.00pm on Saturday. Divi Little Bay Beach Resort is planning to partially reopen the property on May 1st. “The re-opening of yet another resort in the country is great news for our economy. It sends a strong message to industry stakeholders such as airlines and travelers that we are open for business. Additional hotel rooms means more airlift for the country, more stay-over visitors and cheaper airfares. “We are slowly getting there, but it will take some time before our country is back to pre-Irma economic levels. I take this opportunity to commend Divi Little Bay Beach Resort owners and management for being steadfast and committed in their redevelopment and re-opening of the property. “This opportunity at the same time creates employment opportunities for the many who are jobless. Providing quality hospitality services to our visitors is essential and is what makes destination Sint Maarten standout from among the rest. We must live up to the ‘Friendly Island’ expectation and continue to provide that memorable destination experience. “I would like to use this opportunity to call on the other resorts that are closed, to fast-track their planning where rebuilding is concerned so our country can be back on track quicker, better and stronger. “The rebuilding, renovations and renewal process of hotel properties will benefit the overall image of the country as a tourist’s destination in the long-run. Some properties within our hotel stock needed to be renovated and now is the time to do so. “At the same time, the most powerful hurricane in the Atlantic Ocean/Caribbean last September also proved that we need to have infrastructure that can now withstand what is now the new normal, Category 5+. “Building back our infrastructure better and stronger are the buzz words for the foreseeable future,” Minister Cornelius de Weever said on Thursday. PHOTO CUTLINE: Minister Cornelius de Weever. LITTLE BAY — Divi Little Bay Beach Resort staff along with a local union representative gathered Monday, November 6, to receive checks from GoFundMe campaign donations. 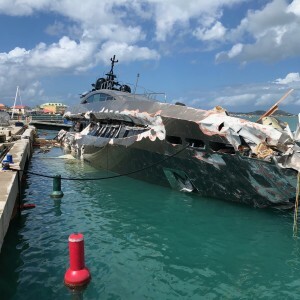 Set up to assist employees in rebuilding their lives on St. Maarten following devastating hurricanes, the GoFundMe campaign has now raised more than $50,000. $49,025 of the donated funds — the amount in the campaign at the time checks were cut — were equally distributed amongst staff, with the exception of upper management, who chose to opt out. “We thank everyone who donated from the bottom of our hearts,” said Madeleine Jacob, hostess and cashier at Divi Little Bay’s pureocean Restaurant. Jacob says this money will help her family recover from the catastrophic effects of Hurricane Irma and other storms. The GoFundMe campaign will remain open for anyone who still wishes to donate to the cause. The resort is expected to reopen and welcome back guests in May 2018. To see more photos with this article visit http://www.stmaartennews.com. The holidays are the busiest time for travel the entire year. People all over the world spend this time of year going from point A to point B in order to spend time with family, see friends, take a break, or do business. All the hustle and bustle that comes with this activity can lead to major stress for anyone trying to find their own way. But it doesn’t have to be too bad. With a little preparation you can go into your holiday vacation confident and secure with as little stress as possible. With the luxury of the internet, gift giving is easier than ever. Take advantage of this crucial tool and knock all your gift shopping out as soon as possible. The best part is having the gifts shipped to your loved ones for you. They come already packaged in a box– think of all the time you will save not wrapping gifts! Plus, most online shops allow you to include a note or greeting as the gift giver. Get all your gifts sent out at least a week before your trip so you have one less thing to focus on and/or stress over. Whether you are going to visit family in another state or taking a sabbatical with your partner in a tropical locale, the last thing you want to worry about during your holiday travels is clothes. Curate a capsule wardrobe for your trip with pieces you can easily mix-and-match for quick and easy dressing. Bonus: focus on packing your favorite, most most comfortable pieces to make your travels even more enjoyable. Clothes can actually impact our mood, so picking the pieces that you feel most comfortable in will help keep your spirits up while you are on the road. Nothing can keep you from being in the present, enjoying yourself than worrying about what is happening at home. Ensure peace of mind with a security system that will monitor your home and property when you are not there. In addition to a security system, consider hiring a house sitter that can be there most of the time and make sure that you are not targeted by burglars during the holidays. If a house sitter isn’t an option, ask one of your neighbors to park their car in your driveway while you are way. Just the visual of someone possibly being at home can deter thieves. Perhaps one of the most important thing to do to prevent stress and stress-related illness is taking care of you own well being. Exercise regularly to reduce cortisol– the hormone that spikes when you are stressed and gives you that anxious feeling. In return, physical activity boosts endorphins– neurotransmitters that help you feel relaxed and happy. In addition to exercise, be sure to eat right during this busy time of year. Proper nutrition is important to maintain your health and stress levels. Eating well while traveling can be difficult for sure– and double that difficulty during the indulgent holiday season. The secret is finding balance. Resources like Eat This, Not That! can help you make smarter choices when it comes to your diet so you can enjoy your food responsibly. The holidays can be stressful, but with the right amount of planning and a positive attitude you can enjoy them. Take care of gifts before your big travel date so you don’t have to worry about that responsibility. Have them shipped to the giftees so you don’t have to worry about lugging them around the country as you travel. Pack smart and comfortable– your clothes can have an impact on your stress levels. Make sure your home is safe by installing a security system and getting a house sitter if needed. Finally, take time for your physical health. Your mental wellbeing is directly connected to the physical, so taking care of one helps keep the other in tip-top shape. 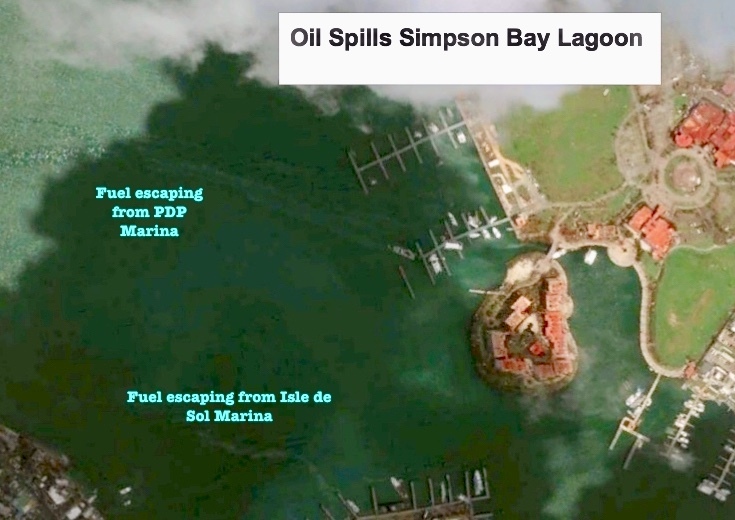 Although the Foundation has been involved in some preliminary work in the Simpson Bay Lagoon it is estimated that some 30,000 gallons of fuel and wastewater is being leaked into the environment; “While we understand the need to have everything in place we are urging for salvage works to start soon before the situation gets worse. Our request for assistance has largely been unanswered and we now are dependent on commercial salvage operators to clean up the wrecks. We are therefore urging that all technicalities and requirements be handled and the necessary permits be fast-tracked,” continued Bervoets. The Foundation has been ensuring that oil spill containment equipment is being properly used in the Oyster Pond area; “We are not salvagers and will have to leave technical aspects of salvaging to the experts, but from an environmental point of view we are there to ensure that the ecosystem isn’t impacted more than it has already been. 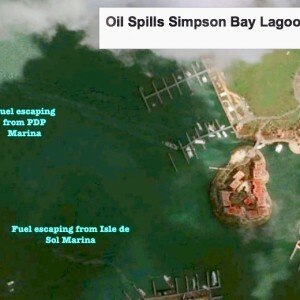 That is why we are urging, not only for the environment but also for the economy, that large scale salvage works commence soon in the Simpson Bay Lagoon,” concluded Bervoets. Philipsburg — Ministry TEATT on Friday announced that the first arrivals at the Princess Juliana International Airport (PJIA) on October 10 and at Port St. Maarten on November 11, will be greeted by staff of both strategic ports and personnel of the St. Maarten Tourist Bureau in shirts with a clear message: St. Maarten is open for business. Or, to put it simple, “Yes, We’re Open! Several volunteers will also be present in the shirts. The shirts depict an airplane for PJIA and a cruise ship for Port St. Maarten. Adorned in St. Maarten colors, the commemorative logo also features St. Maarten’s National bird the Brown Pelican, an outline of St. Maarten in the background, the latitude and longitude coordinates of St. Maarten and the hashtag #sxmstrong, made popular on social media in the aftermath of hurricanes Irma and Maria. The October 10 and November 11 dates also form part of the logo. Finally, St. Maarten’s area code “721” is emboldened in the middle of a symbol of a hurricane. Head of the St. Maarten Tourist Bureau Rolando Brison said the shirts are expressions of pride over the re-opening of St. Maarten and its world class ports in the wake of devastating storms. 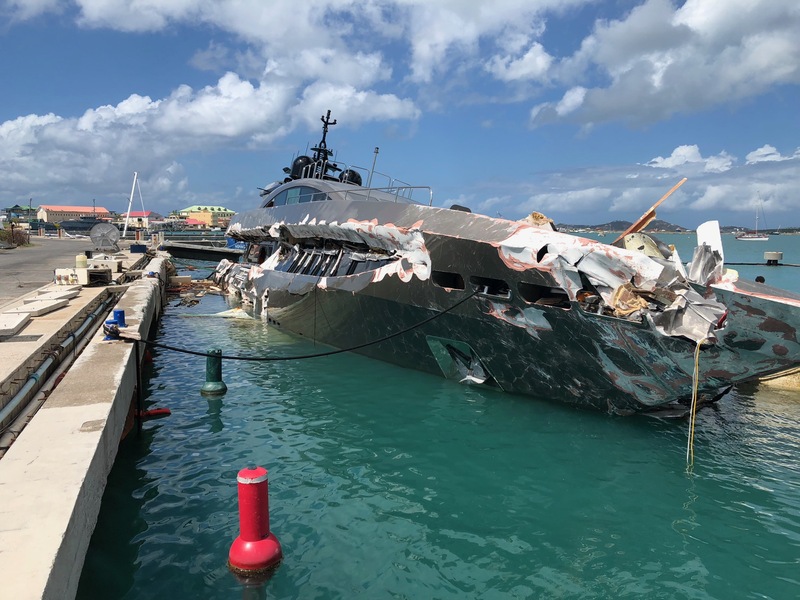 “We want to acknowledge the resilience of our businesses and our people by means of this logo, particularly to show that the cruise and aviation sectors are open despite lots of work ahead,” Brison said. He said both sectors have a lot of work still to do, but the message about St. Maarten on the international stage has to change. “The narrative has to change. STB will be working diligently with our international marketing partners to let the world know that we are on or way back up,” he said. Brison reminded that although hotel inventory is low, there are still properties that can accommodate guests and more are working hard to be back online soon. “Doesn’t matter how many people are on flights come Tuesday, the point is there are people coming to St. Maarten. We want to welcome them back and say thank you, He added. 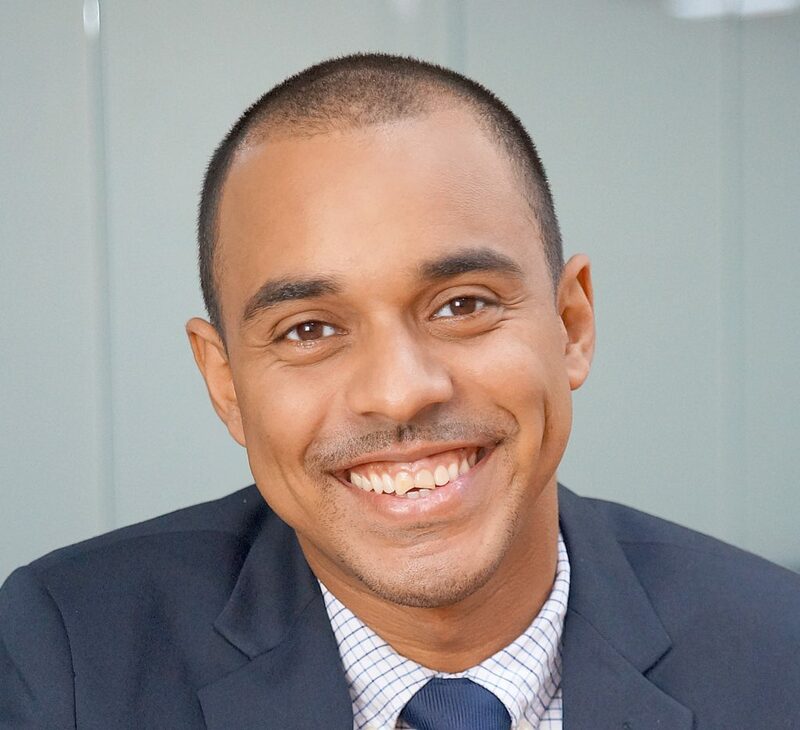 PHILIPSBURG–Young local businessman Rolando Brison has been appointed Director of the recently-established St. Maarten Tourism Authority (STA). He signed a one-year contract with Minister of Tourism and Economic Affairs, Transport and Telecommunications (TEATT) Ingrid Arrindell in the presence of Member of Parliament (MP) Silvio Matser. “Since taking office I wanted to see this important body of Government move in the right direction. It has been years that Government wanted to establish the STA but they could not complete the process. This is a historic day for St. Maarten as we see the new director take office and move the organisation forward with his fresh ideas,” said Minister Arrindell during the signing.Brison was selected out of 12 applicants, according to Arrindell. She continued to praise the young entrepreneur, who impressed the selection committee with his passion and determination to market the island to the best of his abilities.Matser said Brison came from a strong family would continue to be a proponent of giving young people the opportunity to work to move the island forward. “This is putting our money where our mouth is. We don’t talk about establishing a fully active STA, we make sure it happens,” Matser added. The purpose of the STA is to assist temporarily in carrying out the tourism policy of the Government of St. Maarten as a tourist destination; to support the growth of St. Maarten’s land- and sea-based tourism by providing the public and private sectors with focused, sustainable and productive marketing; and the enhancement of the visitor experience. The members of STA’s Supervisory Council are Chairman Keith Graham representing the St. Maarten Hospitality and Trade Association (SHTA), Jim Rosen representing the St. Maarten Timeshare Association (SMTA), Suzy Kartokromo representing Princess Juliana International Airport SXM and Roger Lawrence representing Port St. Maarten. Brison will be in charge of setting up the STA office and beginning to market the island. Funds destined for the St. Maarten Tourist Bureau will not be managed by STA. The next step will be for Government and STA to sign a service-level agreement, according to Arrindell. Arrindell reiterated that it was a great achievement for her and the island to have Brison on board and wished him all the best with his new position. Matser assured the public that Brison’s appointment had nothing to do with politics, that it had to do with making the best choice for the country. The STA also will assist, guide and direct all matters related to tourism, whether on initiative from the public sector or the private sector. The STA Foundation will execute these tasks until Government has incorporated the STA in the form of a so-called independently governed body (“Zelfstandig Bestuursorgaan” ZBO), which immediately on its incorporation will be solely responsible for and solely authorised to execute these tasks. Video: Click here to see the video interview. PHILIPSBURG–Minister of Tourism, Economic Affairs, Transport and Telecommunication (TEATT) Ingrid Arrindell is working on a major hotel development for the Down Street area. The plans are in the early stages, but The Daily Herald understands that Sunwing Development and the Ministry are planning a thirteen-floor boutique hotel opposite Sea Palace in the open lot close to Walter Plantz Square.The building will be the home of the St. Maarten Tourism Authority (STA) with several amenities included such as a parking garage for visitors who visit Walter Plantz Square and the beach. The overall development is part of the upgrading plans for TEATT and coalition partner Member of Parliament (MP) Silvio Matser who supports the Minister. While no official announcement has been made by the Ministry, Matser appeared on “Oral Gibbs Live” television programme on Monday, where he announced some of the plans. The Sunwing group has been looking at several locations on the island to invest and construct an all-inclusive hotel. The Ministry has pitched the boutique hotel to complement the recently established STA, and is seeking to hire an interim director to complete the tourism body. Interviews for the post have been completed and the person is said to be a young, energetic St. Maarten national. The purpose of the STA is to assist temporarily in carrying out the tourism policy of the Government of St. Maarten as a tourist destination; to support the growth of St. Maarten’s land- and sea-based tourism by providing the public and private sectors with focused, sustainable and productive marketing, and the enhancement of the visitor experience. This project will take two years to complete. Further plans indicate a home-porting location for the Harbour Group and the extension of the entire Down Street promenade. Marigot, Saint Martin/Toronto, Canada — After the large success of the Martha Stewart Wedding Show in Chicago, St Martin/St Maarten is once again in the international spotlight. Sint Maarten Marry Me along with Ricardo Bethel from the French Tourist Office traveled to Toronto for the most renowned Canada’s Bridal Show established since 1984. Hosted at the Metro Convention Center in Toronto, a high volume of Exhibitors and Visitors showcased all the latest trends in the Bridal industry as well as Wedding Destinations! Attended by thousands of soon to be newlyweds, guests mingled among the Exhibitors, attended fashion shows, caught up on the latest trends and met one on one with representatives of the wedding industry. They were focused on searching for their perfect paradise to tie the knot, amongst various Caribbean Destinations, where more than 50% of the region was represented. “The three-day event was very successful and we have already had many inquiries for wedding services as well as assistance with hotel bookings! Saint Martin/Sint Maarten is an all time popular destination among brides due to the unique dual nation status, as well as the fact that it is the Culinary Capital of the Caribbean. “Partnering with the French Tourist Office gives us the opportunity to promote all aspects of the island”! Sint Maarten Marry Me representative Milagros De Windt said during the show. Sint Maarten Marry Me is one of the leading Wedding Planning companies on St Maarten, celebrating 12 years of turning dreams into reality for many brides-to-be, from North America and beyond. They have recently branched out to include the French side of Saint Martin to offer their clients a “Fantastically French or Delightfully Dutch” experience! Saint Martin, otherwise known as the French Riviera of the Caribbean, is reminiscent of a typical fishing village full of flora and fauna and luxuriously trendy boutique hotels. “Saint Martin is indeed a unique destination experience and the French Tourist Office is dedicated to promote our island paradise by attending the most prominent Trade Shows the industry has to offer. 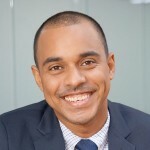 We are hoping to establish more collaboration with the Dutch side in the future for a better representation for Saint Martin/Sint Maarten as we believe both sides complement each other and have much to offer!” added Ricardo Bethel from the French Tourist Office. PHOTO CAPTION: A lucky couple receiving a complimentary stay courtesy of Riu Palace, St. Martin by the hand of Milagros de Windt, Marketing Manager at Artemia, Ricardo Bethel, Representative of the French Tourism Office, and Danika Liburd, Wedding Planner at Sint Maarten Marry-Me.